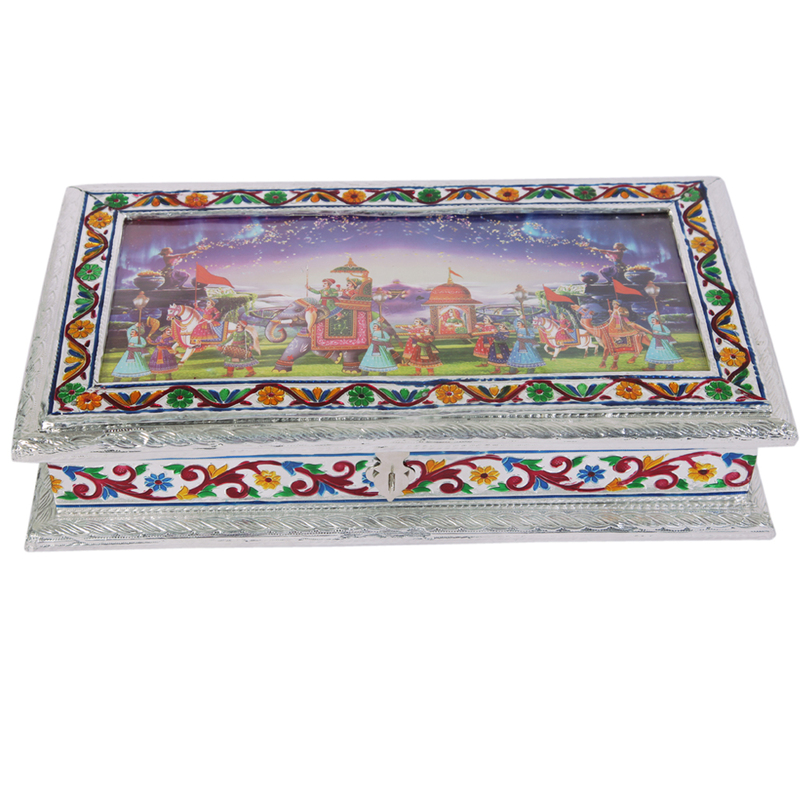 This colorful rectangular dry fruit box is just appropriate for any kind of religious or happy occasions. This box is a closed one with a Read More..lid for storing dry fruits. The upper surface is illustrated with a beautiful scenery. The borders on its sides are decorated with beautiful and colorful meenakari work. The middle portion on all sides are adorned with colorful meenakari work as well. Show Less..